About 5 or 6 years ago, I had an idea to do a video series: 3 Things in 3 Minutes (yeah, rocket science, I know) to bring user-generated content in. 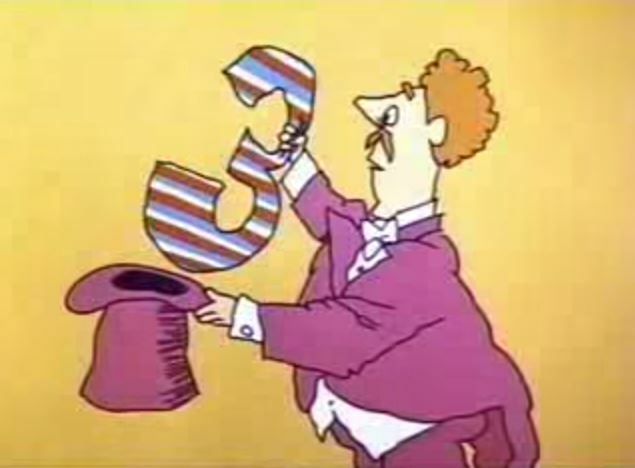 While I might eventually pick back up on that idea again, started thinking to myself, “Self, why not do something like 3 things Thursday and just write about a few things each week.” Because, you know, 3, It’s a Magic Number. For this first go ’round, I’ve been having a few thoughts about content marketing. 1. Starting to feel like content marketing is just, you know, marketing. Of course, content marketing isn’t new — John Deere’s Furrow magazine, the Jell-o recipe book, the Michelin Guide, and, in the 1980s, GI Joe (man, did my brother and younger cousin love the show, toys, and comics). Now, it’s gotten a rocket up it’s backside from enterprise 2.0/social tools that allow you to talk with your customers as a group down to one-on-one, and that’s awesome, but basics of marketing remain. [I think, I’ve come into marketing sideways, so I’m still not up on some of the foundational learnin’.] The stuff like meet the needs of your customer, know your customer, be nice, and be helpful seems to me to be the same. We’re just all using various types of content to do that now. Huh, maybe content marketing is the tactic and content strategy is the, er, strategy. Maybe I’m just turning into a cranky old man before my time, but there seems an undercurrent of “waaaa, this is hard” as more folks learn about content marketing. Yes, creating content is hard. Yes, you need ta spel gud. Get on with it. If you’re coming into content marketing because of the hype, there’s no magic to it. You’ve seen all the stats about blogging and content equating to more leads and think it’s going to be a quick win and a shortcut. Surprise, Buttercup, no shortcuts. If you’re waiting for a magical unicorn riding on a carpet borne by butterflies to hand (hoof?) deliver an epiphany and customers to you swaddled within the Ark of the Covenant, sorry, you need to build your own. The cool thing though — you can. Like anything, just takes work to get right. One of the most awesome things about content marketing is creating something useful and that can help someone. It’s a good feeling to create a piece of content and have someone enjoy and/or be able to use it to improve their career, start a project . . . just do something better.